Google DeepMindGoogle DeepMind scientist David Silver (left) and Google DeepMind CEO Demis Hassabis (right). 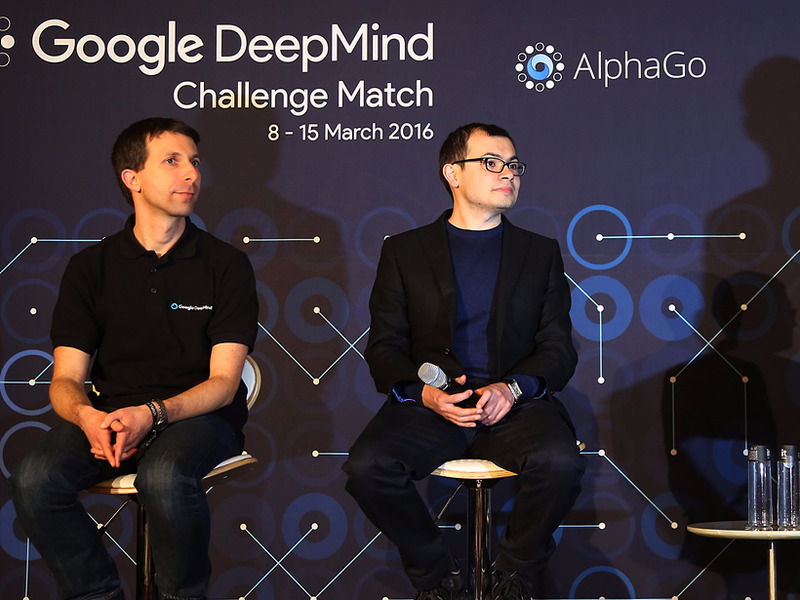 DeepMind, the artificial intelligence research lab acquired by Google for a reported £400 million in 2014, has called on the UK government to consider funding degree courses that focus on machine learning, which is a subfield of AI. The company — cofounded by Demis Hassabis, Shane Legg and Mustafa Suleyman in 2011 — said the government needs to support the next generation of machine learning experts if it wants the UK to cement its position as a world leader in AI. Machine learning masters degrees and PhDs can cost individuals upwards of £10,000 at the top universities. Machine learning is an area of computer science that gives computers the ability to learn without being explicitly programmed. Google is one of several large tech companies carrying out research in the space, with the search giant recently announcing a new machine learning research team in Europe. Apple, Facebook, Amazon, and Microsoft are also investing heavily in the field. The UK has emerged as a world leader in AI and machine learning over the last few years thanks in large part to the work being done at universities like Cambridge, UCL, and Imperial. Scientific entrepreneurs like those in the DeepMind founding team often work on ideas behind the walls of academia before spinning out private companies that are desired by Silicon Valley tech giants.